The Vanguard Espod CX 203AP Aluminum Tripod with PH-23 Pan Head from Vanguard provides a stable and lightweight (2.4 lb) support with a pan/tilt head. 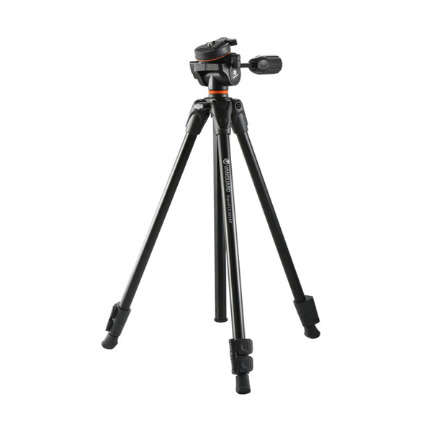 The tripod extends to 61" and folds down to 21.3". The ESPOD CX 203AP will certainly impress you with its modern style and ease of use. The ESPOD CX 203 AP features an impressive maximum weight load for such a compact tripod at 3.5kg. This pan head's ergonomic handle positions smoothly and easily. The top panning system allows for quick portrait mode set-up.